AUGUST 16, 2013 — Patrick Novecosky, editor of this blog and editor-in-chief of Legatus magazine, was a guest on Iowa Catholic Radio in Des Moines, Iowa, this morning. 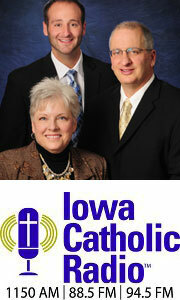 He appeared on the Iowa Catholic Radio Morning Show with Jeanne Wells, Mark Amadeo, and Jon Leonetti. 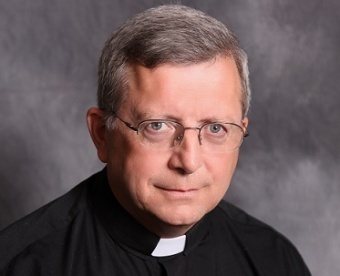 They asked Novecosky about the Missouri mystery priest who appeared — seemingly out of nowhere — while emergency crews were struggling to free a young woman from a mangled car wreck on Aug. 4. The equipment needed to free the woman appeared immediately after he prayed with her, whereupon the priest seemingly vanished. The mystery man drew speculation and coverage from Catholic and secular media. Some speculated that he was an angel, a long-dead Benedictine monk, a saint from heaven or Jesus Himself. They even went so far as to have a sketch artist draw the face of the mystery man. Earlier this week, however, Fr. Patrick Dowling, a priest of the Diocese of Jefferson City, came forward as the priest who anointed the young lady. Read his story here. He has since made the rounds, appearing on national television, including ABC-TV and EWTN. The story has captured hearts and made international headlines.